← Is Intermittent Fasting for You? I am now wrapping up my first week with IF and honestly, I love it. For me, (so far) this works. I feel satisfied, and I feel I have much, much more control over food (I can’t explain this, I just do). I am truly enjoying healthy foods, but am not worrying about calories. My friend who asked me about it last week is also loving it. She feels she has more energy, feels she is spending less time worrying about what to eat, and is craving vegetables. 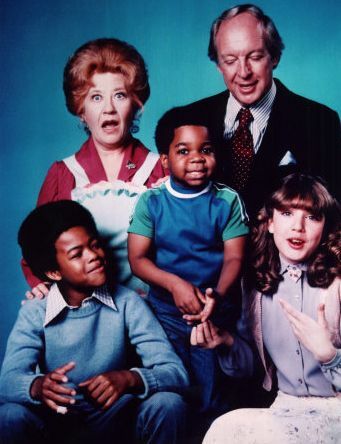 I think there is a lot going on with IF that we don’t understand. Not a lot of studies have been done on this method of eating, and depending on which approach you take, there are other things besides the fasting that can be playing a part. But in the end, it doesn’t really matter, as long as you feel good. …the concept behind Eat Stop Eat…is that one or two 24 hour breaks from eating per week when combined with resistance training can be an unbelievable easy and effective way to lose body fat without losing muscle mass. When you first start fasting you really learn WHY you eat. It has so much to do with simple cues and habits, and so little to do with hunger, this revelation is amazing for so many people and it’s valuable information that can help you eat better during the times you are not fasting. I agree 100%. For me, however, the thought of fasting (or as Brad likes to now call it, “taking a break from eating”) for 24 hours each week sounds a bit overwhelming. I have never fasted for 24 hours. Not for medical purposes, not for religious purposes, never. 24 hours without food? Really? Yes, it’s simple, but I’m not sure I’m capable of doing that. Enter option two, the 16 hour fast. This method is popularized by Martin Berkhan of Leangains. This method has men fasting for 16 hours and eating (generally 3 meals, but there are no rules about this) during an 8 hour window. Women are instructed to fast for 14 hours. Exercising is a part of this method of eating. While Martin feels that there are benefits to exercising in a fasted state, he acknowledges that not everyone can work out at noon and eat at 1; as a result, he has methods for those who workout at different times of the day. And while he suggests that your fast start at night and continue until lunch, this is also flexible, depending on your own schedule…he just thinks that for most people, eating at lunch and dinnertime is easier to do. Martin’s method is more complicated than the 24 hours fast in that it includes both carb-cycling & nutrient cycling. How much of this you follow is up to you, but understand your results might be different if you don’t subscribe to this. Carb-cycling essentially means that carb intake should follow a workout; nutrient cycling means that you take in more calories on workout days, fewer calories on non-workout days. Since I workout 5-6 days a week, I am trying to eat my carbs on my lifting days (3 days a week) as I feel those are my “intense” workout days. I am also following a 16 hour fast/8 hour feed window as opposed to the 14 hour fasting window Martin suggests for women. I am doing this because for me I didn’t feel like adding 2 hours to my usual fasting window of 12 hours seemed like that much of a change. I also think that for me, having a shorter period of time in which to eat helps me to keep my total calories under control. Overall, I feel the 16 hour fast method is easier for many people, but it also means you never eat breakfast (that doesn’t mean you can’t have breakfast food, it only means you aren’t eating it in the morning). For some people this might be a difficult thing to give up. In addition, if you follow Martin’s method strictly, it is much more complicated than the 24 hour fast method. There is evidence that humans are nocturnal eaters, inherently programmed for undereating and toiling during the day, followed by overeating and relaxing at night. Researchers believe that the human genome is programmed for a late Paleolithic world. As hunter/gatherers we’re better adapted to pre-agricultural food– i.e. chemical-free fruit, vegetables, roots, sprouted legumes, nuts, seeds, fertile eggs, marine food (wild catch), and dairy from grass fed animals. It has been established that we are inherently carrying survival mechanisms that benefit us when triggered by physical or nutritional stress such as exercise or undereating. Combining exercise with undereating will amplify the beneficial mechanisms of both – increasing our ability to utilize energy, improve strength and resist fatigue. (Note: My apologies for what looks like one long run-on paragraph…not showing like that in my edit window, but frustratingly showing up like that on my posted blog). From what I do know about this method, it is somewhat complicated to follow as there is some eating allowed during the 20 hour “fast” (or partial fast) window, but only certain foods can be eaten. It also limits you to a single large meal at night, with rules about the order food is eaten. 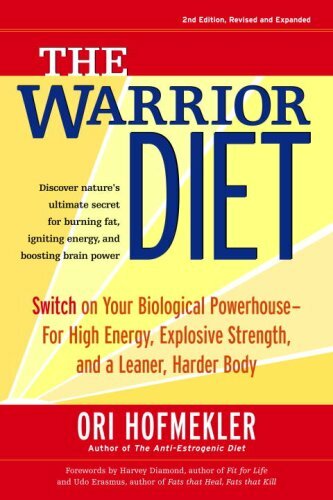 Ori is also definitely basing some of his guidelines on the concept of a Paleo diet, which I think has some very good principles, but is also unnecessarily restrictive when it comes to certain food groups. However, I am not saying this method can’t work or that you shouldn’t try it. 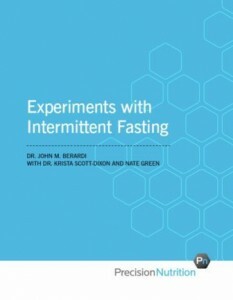 I realize this blog post is getting quite lengthy and maybe I’ve already lost most of you…however, if you’re still reading, if you’re intrigued by the idea of periodic fasting, then I encourage you to read a free e-book by John Berardi and Krista Scott-Dixon called Experiments in Intermittent Fasting. If you’ve been paying attention, you will remember that John and Krista are with Precision Nutrition. John is the founder of Precision Nutrition and was intrigued by the idea of fasting as a weight loss plan. Precision Nutrition currently follows the 4-6 smaller meals throughout the day plan when coaching their weight loss clients. John was trying to lose weight himself, in preparation for beginning a masters track program, and decided to put some of the methods of IF to a personal test. His journey and experimentation is documented in his e-book (with sidebars by Krista). If you are thinking of trying IF, I highly recommend you take the time to read this first. It is longer than the e-book I recommended last week, but is still something you can get through in an hour or two. It will give you a better understanding of the 24 hour fast method (and what John found when he tried fasting 2 days a week…not good) and the 16 hour fast method. I am really interested in your feedback on this topic. If you decide to try it, please let me know. I am curious what methods people try and how you find it. Is it something you see as a short-term weight loss plan, or can you see eating like this for life (which is really the goal)? This entry was posted in Nutrition and tagged IF, Intermittent fasting, John Berardi, Leangains, Martin Berkhan, Ori Hofmekler, periods of fasting, Precision Nutrition, Warrior diet, weight loss. Bookmark the permalink. Thanks for this blog. Do you think the 16hr fast is a good idea for in full training mode 1/2 ironman training? I like what you wrote, but I was just wondering what you think about applying this to high end endurance type athletes. Thanks. I can’t say I’m qualified to really answer that. I think in the e-book by John Berardi there is some reference to the fact that you might need to modify for endurance type training. The idea of training while fasted isn’t so difficult if you are doing an hour of strength training or some other such activity, but going out for 3 hours is different. Also understand that Martin Berkhan, the Leangains “founder” prescribes taking BCAA’s (branched chain amino acids) before, during and after training, which is supposed to help with the idea of training fasted. I haven’t tried that, and have generally felt fine training fasted. Margaret, too, has been doing okay with it, but remember we are talking an hour workout or so.